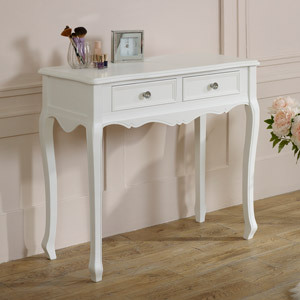 Pair of bedside tables in white satin painted finish. Ornate carved features with crystal handles. 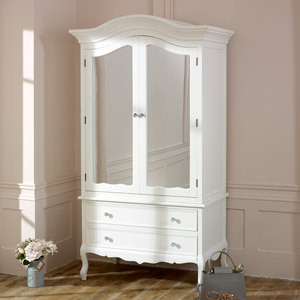 Ideal furniture for the vintage French themed bedroom with matching furniture also available in the Victoria Range. 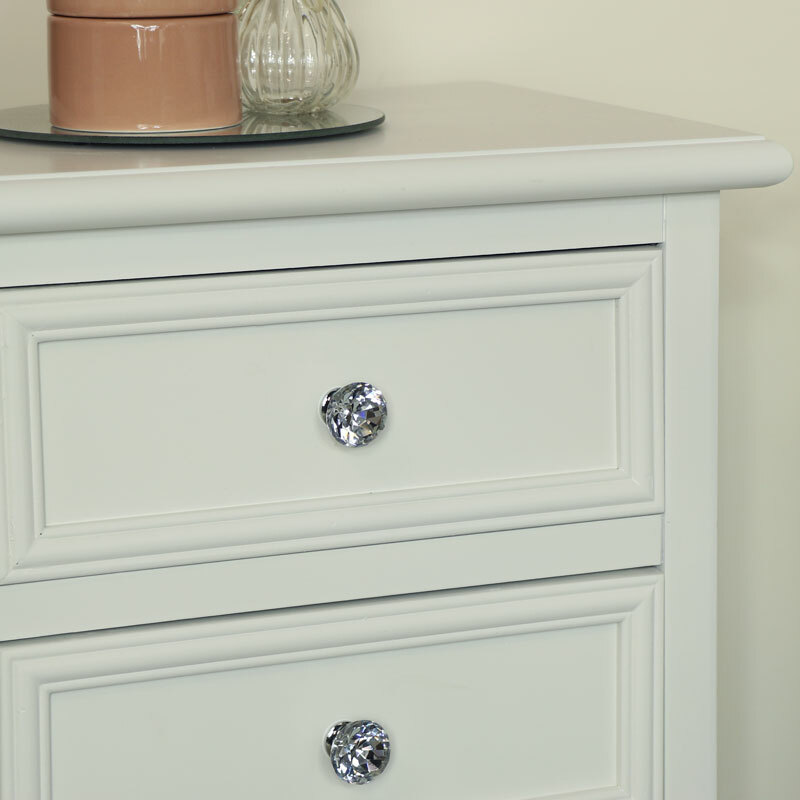 This set of 2 bedside chests offer a luxurious and glam look with elegant carved features and crystal style drawer knobs with shabby chic feel. 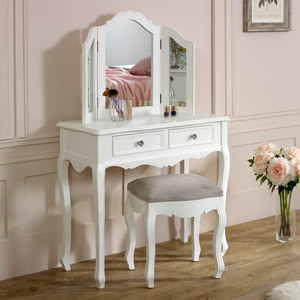 The Victoria Range comes with matching wardrobe, dressing table set and chest of drawers in 2 great sizes. 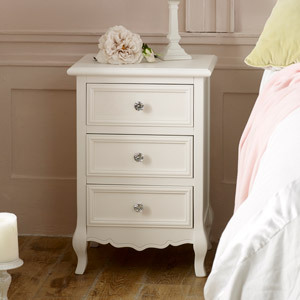 These bedside tables will look fantastic placed at the side of the bed or could also be used as side tables in the living room for a fresh look with that vintage twist. 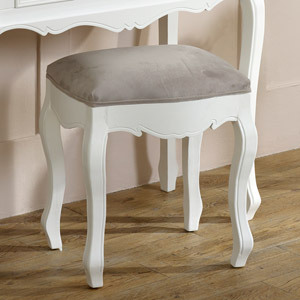 Pair of bedside tables in white satin painted finish. 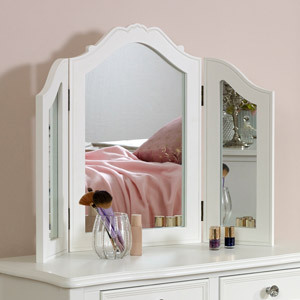 Ornate carved features with crystal handles. 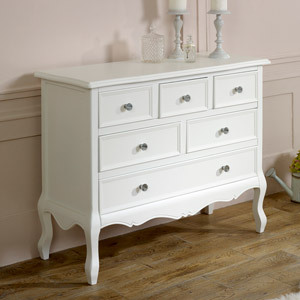 Ideal furniture for the vintage French themed bedroom with matching furniture also available in the Victoria Range. 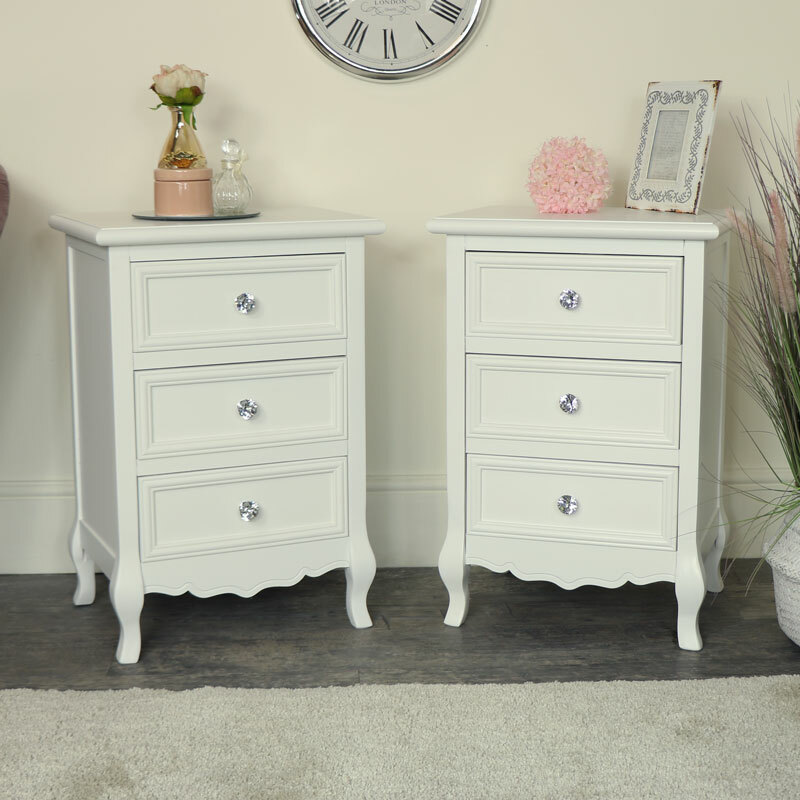 This set of 2 bedside chests offer a luxurious and glam look with elegant carved features and crystal style drawer knobs with shabby chic feel. 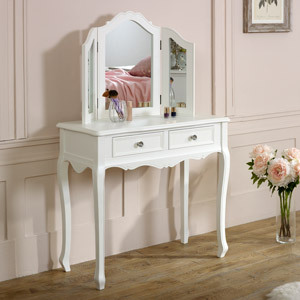 The Victoria Range comes with matching wardrobe, dressing table set and chest of drawers in 2 great sizes. 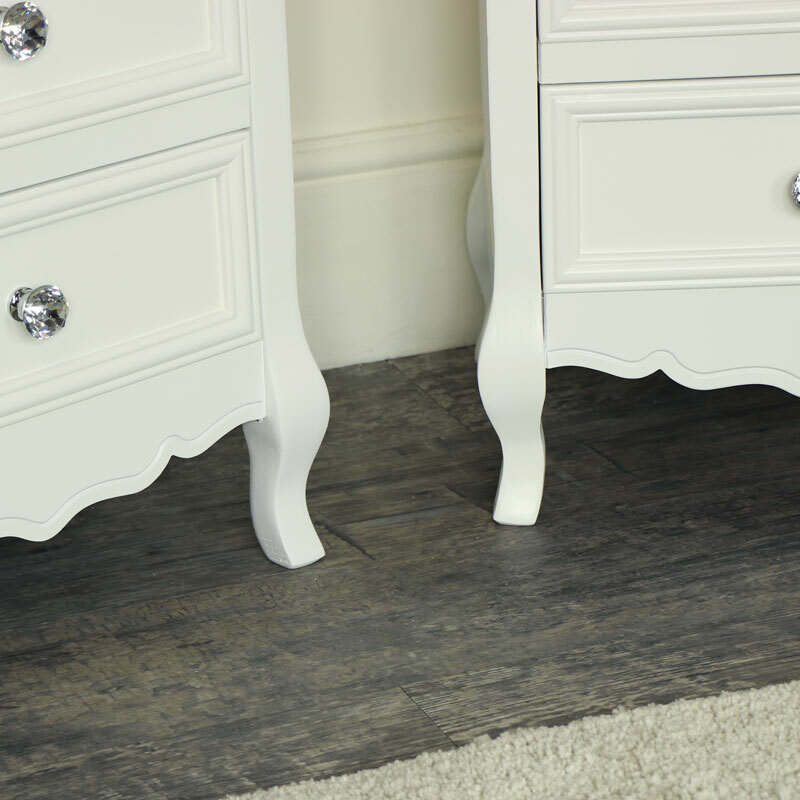 These bedside tables will look fantastic placed at the side of the bed or could also be used as side tables in the living room for a fresh look with that vintage twist. 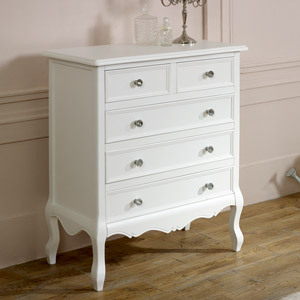 These drawers are fully assembled.